The Rattles was one of the leading beat-bands in Germany, following their formation back in 1961. Achim Reichel and Herbert Hildebrandt (bass) were founder members, but they departed in 1967 and 1968 successively. 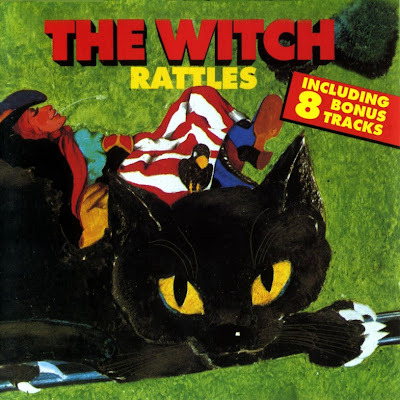 A new Rattles line-up assembled in 1970 to record the single "The Witch" coupled with "Get Away" (Fontana 6004 010). The A side was a song that had enjoyed increasing popularity after The Rattles had recorded their first version of it in 1968. The single actually became an international success and Rattles recorded three competent straight rock albums in the early seventies. In 1971 a fifth member, Jochen Peters alias Lude Lafayete (ex-Gash), was added. Gin Mill (1974) was a weaker come-back attempt from Mille, Lungen and Lude with new members Linda Fields and Wolfgang Brock (ex-Karthago). Lude Lafayete later formed Wolfsmond in 1976. Thanx alot for this wonderful stuff. I really enjoy this music! 12. "Suzie Q" 6:06 real duds, unfortunate covers. Good material amongst the bonus tracks. Enormous talent here. Many thanks, Oleg! Even if I already have this post, I should say that spent many days on emule to complete d/l lossless Witch. Thanks to you oe, everybody could take it easily. Congratulation for share! Классная вещь! Певица очень даже не плоха и не дурна. Смотрел их клип. Очень понравились в живую. Басист особенно. ok, now I think there's been recorder AND flute!